This month, I took friends from What's Cookin, Chicago on a tour of Ravenswood Corridor, located on the North side of the city. 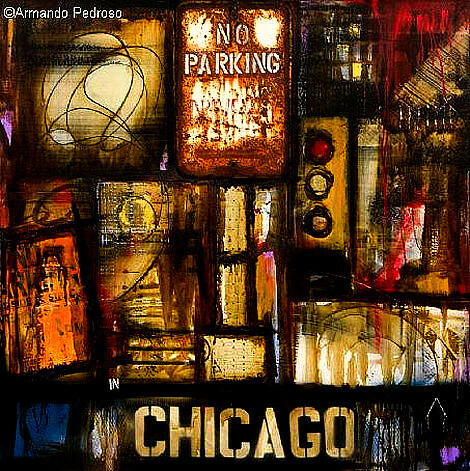 Our tour fell on the same weekend as the annual Ravenswood ArtWalk, a fair of local artisans showing off their creative talents through paint, print, photography, sculpture, etc. Aside from all the artists that come to share their work, there are some culinary folks that continually do some magic in the neighborhood too. After the Urban Accents tour, we enjoyed lunch at Spacca Napoli. I haven't had the opportunity to visit Italy yet, however some of my friends and What's Cookin, Chicago members have. From their experiences, many of them agree that the pizza served at Spacca Napoli is very much like the pizza served in Naples, Italy. After lunch, we hit up First Slice. This small cafe/bakery is run by Chef Mary Ellen Diaz, who gives back to the community by providing hot meals to patrons. First Slice is a community-supported kitchen. Volunteers and staff work together to serve a hot, high-quality three-course meal to approximately 100 men, women, and children. The cafe was pretty crowded when we arrived, most likely due to all the folks attending the Ravenswood ArtWalk. First Slice shares a space with a mini gallery of sorts full of various types of artwork. So aside from the great pie and baked goods offered here, you'll be able to walk around and check out the different pieces of art too. 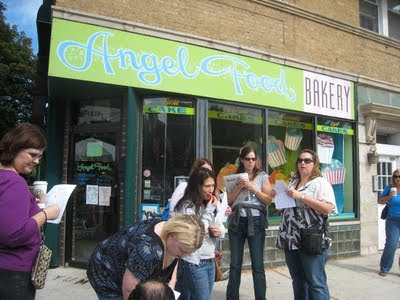 Next stop was Angel Food Bakery. I previously included this place in our Cupcake Crawl and since it was in the area, we stopped here again for friends to check out. Some things folks got to try included the Red Velvet Cake, Thin Mints, Rummies (Rum Balls) and a few other kinds of treats. After our stop at Angel Food Bakery, the rain started to fall. It wasn't too hard and we managed to get to our next tour stop - Margie's Candies. Here folks can indulge in homemade chocolates, classic and fun ice cream flavors and fresh pie. We were still a bit full at this point but it was great to check out their goodies. 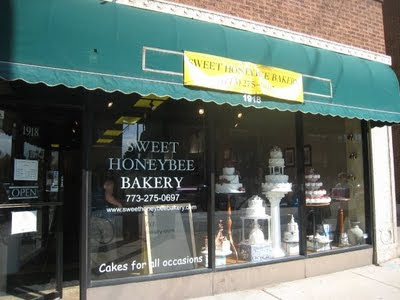 Our last stop is Sweet Honey Bee Bakery. 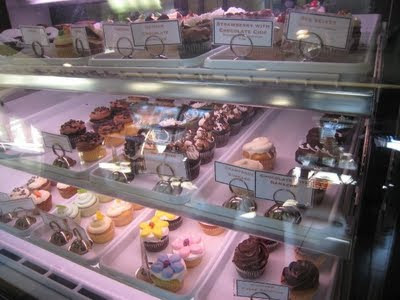 This is one of the cupcake stops we had on our recent cupcake crawl and they really have some good flavors out there. 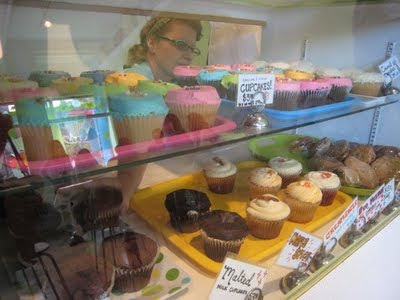 Some folks bought some cupcakes to take home and enjoy. After this stop, the rain finally caught up with us and we called it a day. If you happen to find yourself in the Ravenswood Corridor area, be sure to stop by these places and support the businesses! I love Spacca Napoli, perfect pizza. Neat! 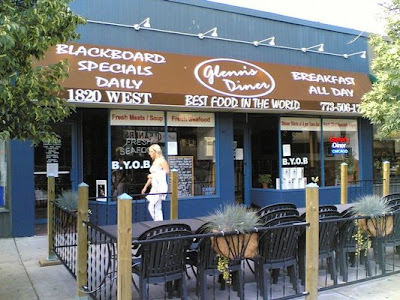 We just moved into our new townhome in Ravenswood, and I've passed several of these places and been curious. Now I'll have to go take a tour of my own!